The Latvian National Symphony Orchestra (LNSO) returns from Slovakia today, where they performed a concert at the Bratislava Music Festival. Their tour in honour of Latvia’s centenary continues this week with visits to renowned concert halls in France, Switzerland and Germany. With works by Peteris Vasks, Sergei Rachmaninoff and Pyotr Ilyich Tchaikovsky, the orchestra will perform at famous venues such as the Paris Philharmonie, Aix-en-Provence Opera House and the Beethoven Hall at Stuttgart’s Liederhalle. Latvian residents will be able to listen to the tour’s concert programme on 18 October at 10:00 in Riga’s Great Guild, a concert which will feature the violinist Magdalena Geka. LNSO artistic director and main conductor Andris Poga is very proud of the orchestra’s achievements: “We are performing at the Paris Philharmonie, which will be a first for the orchestra. That’s a great privilege and a wonderful opportunity. We have been greatly supported by the Ministry of Culture, without whom it it would not have been possible to arrange this concert tour.” The tour’s concerts will include Peteris Vask’s powerful 2002 opus Musica appassionata, Sergei Prokofiev’s Violin Concerto No. 1, as well as Tchaikovsky’s Symphony No. 6, the master’s final completed symphony which underlined his musical immortality. On 20 October, LNSO will perform at the Grand Théâtre in Aix-en-Provence, France, which was built in 2007 and regularly hosts the most famous classical musicians from Europe and America. Joining LNSO and Andris Poga on stage will one of the most powerful and virtuoso pianists Boris Berezovsky, about whom the French press has written – “fingers of bronze and a fiery temperament”. He will play Rachmaninoff’s fourth piano concerto solo, which demands great skill. Also in the programme – Peteris Vask’s Musica appassionata and Pyotr Ilyich Tchaikovsky’s Symphony No. 6 (“Pathétique”). Then on 23 October, LNSO, under the baton of Andris Poga, will debut at the Paris Philharmonie with the programme Grand Nord. The newly built concert hall, which opened in January 2015, is one of Europe’s major venues and it is a great honour and privilege to perform there. This concert will feature the same programme as in Provence, but with a different solist – Rachmaninoff’s fourth piano concerto solo will be played by Nicholas Angelich, one of the finest talents around. Next, LNSO and Andris Poga will be joined by the highly sought-after violinist, Baiba Skride, to offer three concerts in Germany and Switzerland which will feature Peteris Vask’s Musica appassionata, Pyotr Ilyich Tchaikovsky’s Symphony No. 6, and Sergei Prokofiev’s Violin Concerto No. 1. On 24 October, LNSO will perform in the Hugo Eckener Hall at Graf-Zeppelin-Haus, Friedrichshafen; on 25 October, at one of Germany’s most famous concert venues – the Beethoven Hall at Stuttgart’s Liederhalle – and on 26 October, at the church of St. Johann in the Swiss town of Schaffhausen. 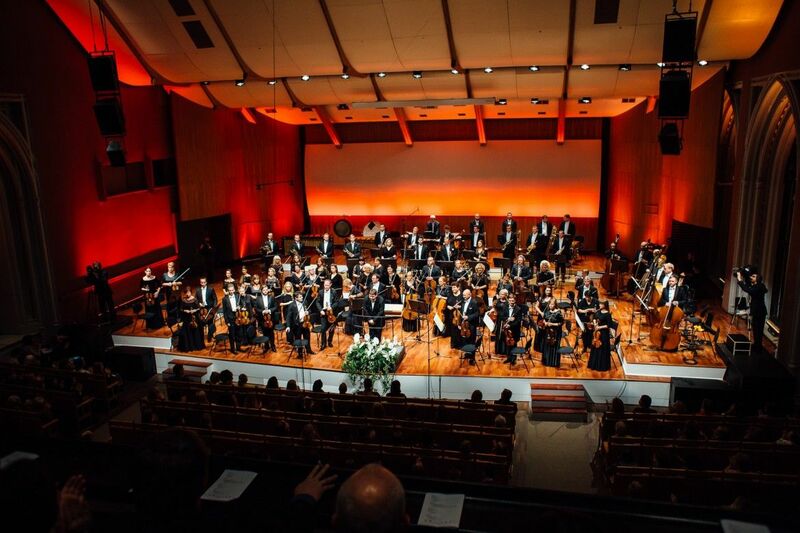 LNSO’s tour of France, Germany and Switzerland is being organised by the Paris-based concert producers Productions Internationales Albert Sarfati. The agency represents Andris Poga internationally, and since 2015, has represented LNSO as well. It will also be possible to listen to the tour’s concert programme in Latvia on 18 October at 10:00 in Riga’s Great Guild. The violin solo in Prokofiev’s Violin Concerto No. 1 will be played by Magdalena Geka, who has performed widely in Europe, both as a solist and as a chamber musician, at venues including London’s Wigmore Hall, the Paris Philharmonie, Munich’s Hercules Hall, and others. 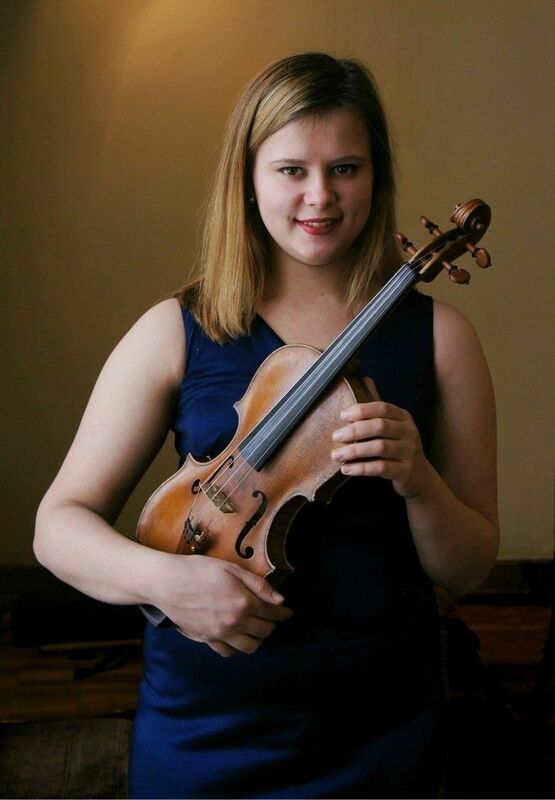 Magdalena’s name has been well known to the Latvian public since the autumn of 2014, when the young violinist made her sparkling debut playing with the Latvian National Symphony Orchestra and was nominated for a Grand Music Award for that performance. Geka gained a master’s degree at the Paris Conservatory of Music and Dance (CNSMDP), specialising in violin and chamber music. 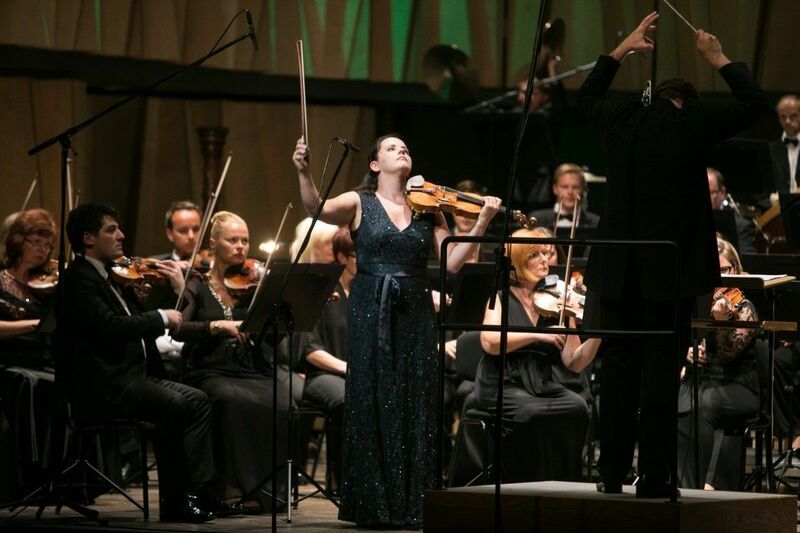 As an orchestral musician, she has played in Kremerata Baltica and the Radio France Philharmonic Orchestra. Contemporary music is of particular importance to Magdalena: she has performed premieres of around thirteen new compositions in close collaboration with the composers Platons Buravickis, Santa Bush, Asia Ahmetzhanova and Gabriel Sivak (Argentina). Magdalena Geka plays a 1697 Giuseppe Guarneri violin which has kindly been loaned to her by the Swiss music fund Boubo-Music. For the third year running, the LNSO fund is inviting children from all over Latvia to attend LNSO dress rehearsals, concerts and various exhibitions for free. On 18 October, courtesy of the LNSO fund, around 220 children from various Latvian towns will attend the concert at the Great Guild. The concert will be honoured with the presence of the patron of the orchestra, Iveta Vejone, the President of Latvia’s partner. Tickets to the concert at the Great Guild can be purchased from “Biļešu paradīze” box offices and its website. Ticket price – from 3 to 7 EUR.